Berne-is the capital of Switzerland and a very old city full of medieval architecture. 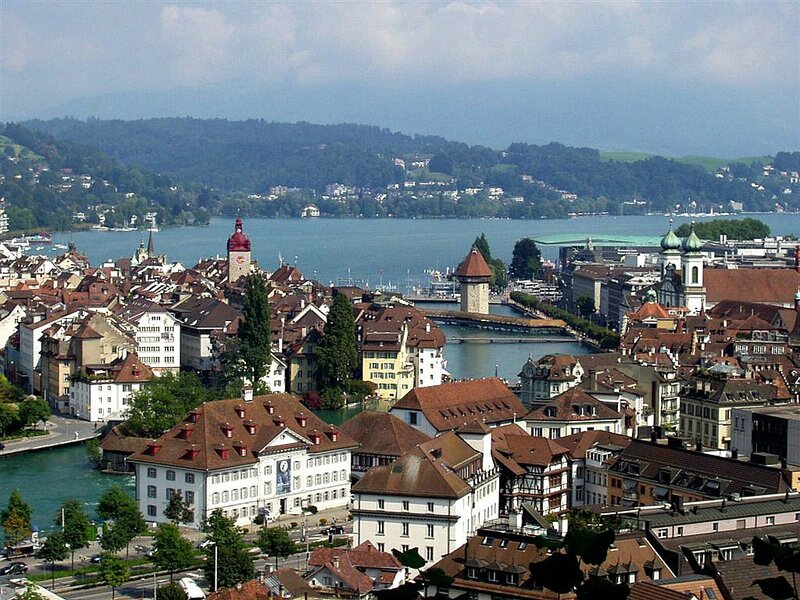 Berne can be a launching point or home base to see many of the other attractions in Switzerland. There are great spots to shop, cafes, and charming streets to take a walk. 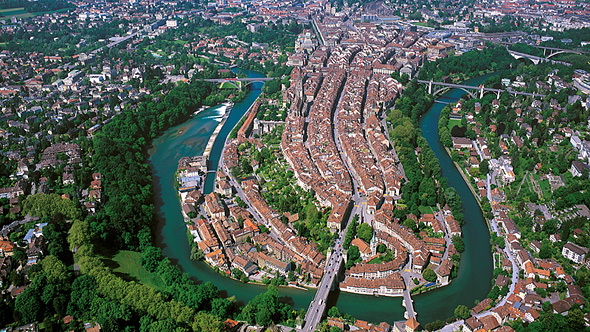 During the summer, people like to take a dip the river Aare that curves through Berne. There is also an Alpine museum and a house that Einstein used to rent which is now open for tourists. 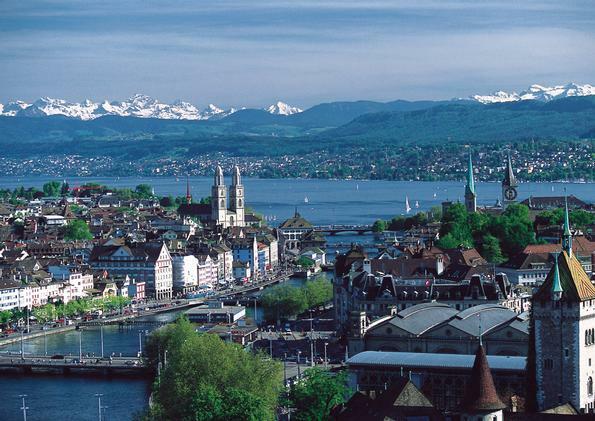 Zurich- The largest city of Switzerland is over 2000 years old. Although it is old, it is a thriving city and one of the most expensive cities to live in Europe. Zurich is home to a large airport and main train station so it is likely that your journey in Switzerland will begin here. If you are looking for city life with old world charm then definitely spend a day or two in Zurich. Lucerne-It is indeed a popular tourist destination but the beauty and splendor of the lakes in Lucerne are worth visiting. The town is full of medieval architecture as well as a Picasso art gallery. Cafes are a popular in Lucerne amongst young people so on a weekend night, outdoor cafes are the place to be. Jungfraujoch-is the highest point in Switzerland with beautiful mountains and valleys. 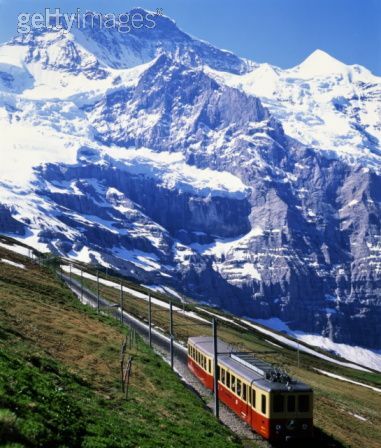 The Jungfraujoch train is the highest altitude train in Europe. For people that love mountains and snow, this is your spot to go in Switzerland as long as you are not afraid of heights. 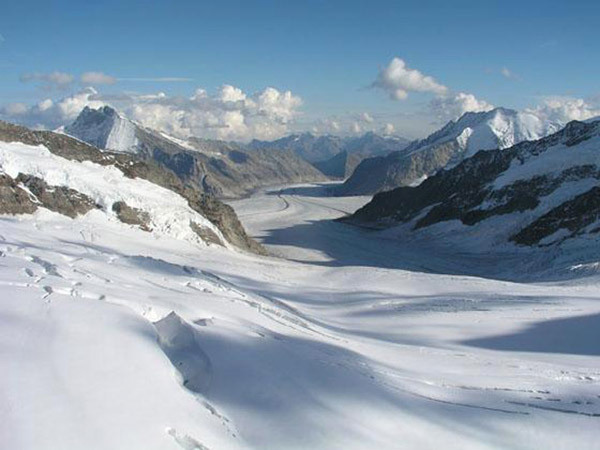 Aletsch Glacier- Aletsch is the largest glacier in the Alps and it�s one of the UNESCO world heritage sites. You can get to different parts of the glacier via cable cars or the Jungfraujoch train. Since it is a protected site and terrain can be dangerous it is advisable to go on a guided tour. Geneva/Lake Geneva- Geneva is the second largest city in Switzerland behind Zurich. This city is also the spot of many global organizations and most notably, where the Geneva Conventions were held. This spot is great for cyclists and people into alternative art. There is also an Olympic museum to visit. 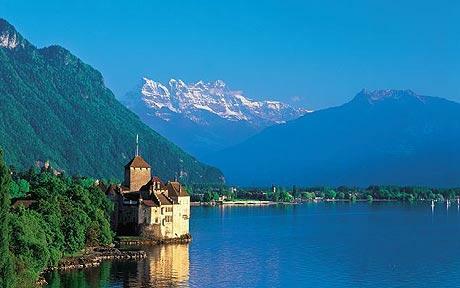 Lake Geneva is one of the bluest lakes in Switzerland and quite a beautiful sight. The Matterhorn, Zermatt- This is the tenth highest mountain in Switzerland. The Matterhorn actually has four faces and each of them face a different direction! Unfortunately, you will not find high-powered toboggans at the real Matterhorn so you will have to go to Disneyland for the ride. 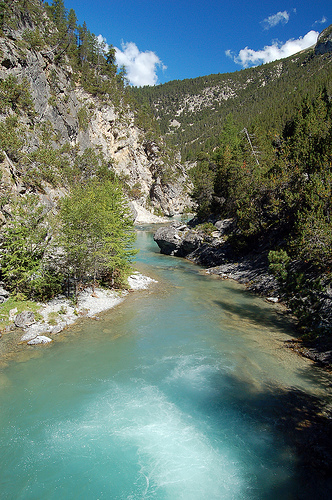 Swiss National Park, Zernez- If you enjoy the woods and wildlife then you need to check out the Swiss National Park. Walk on the lovely trails and maybe you will spot a red deer or a marmot. Zernez is the town that leads into the National Park.